With 4 wine corks, or a combination of champagne and wine corks, the possibilities get more exciting in cork crafting. 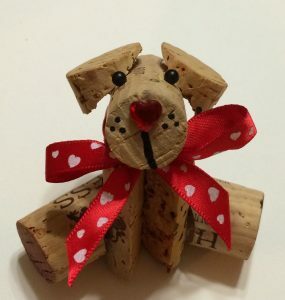 Check out this versatile wine cork dog that can be used as an ornament or for Valentine’s Day from Kathy’s AngelNik Designs & Art Project Ideas. 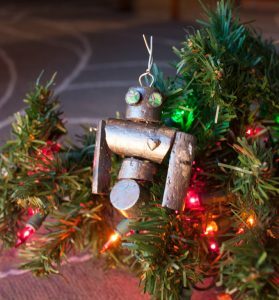 With a little shiny acrylic paint, you can also create your own cork robot ornament from Adventures in Making.